After we all loved the Valentine’s Day Cupid’s Crunch recipe, I figured I should maybe work something out for some St. Patrick’s Day treats. 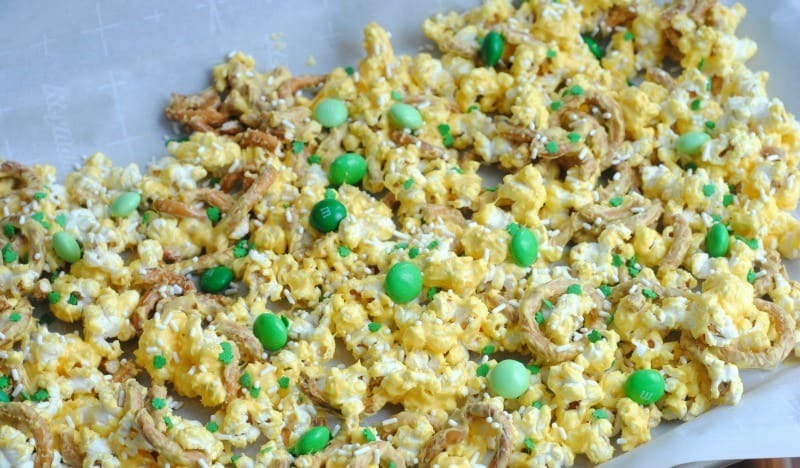 If you want all things green- take a peek at our easy green treat recipes post just for St. Paddy’s! 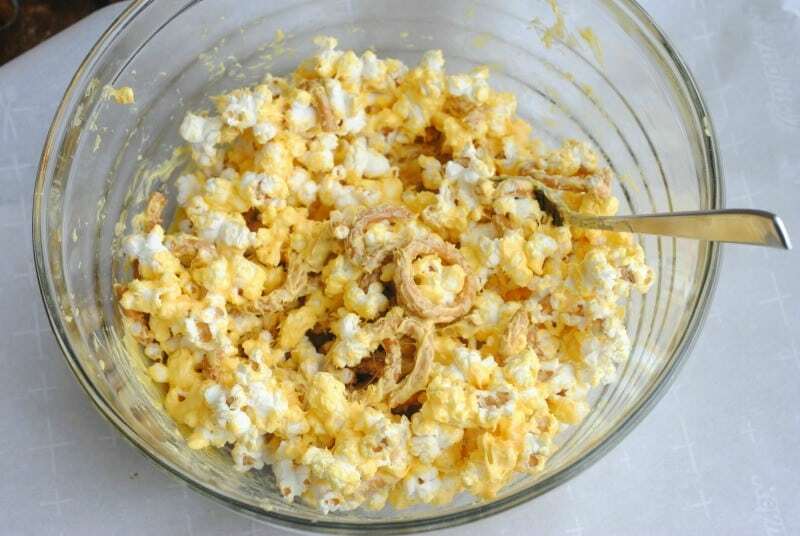 Just like almost everything I make, this popcorn mix recipe is easy to make with super simple ingredients. I will caution you that this is highly addictive. It’s delightful. Sweet, salty, and oh so much fun. 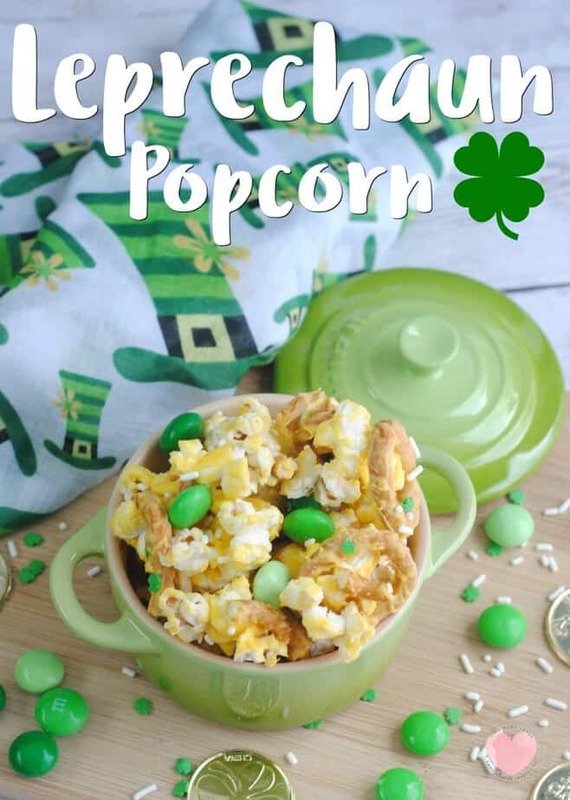 When someone greets you with Top of the Morning, reply with “and to you” and hand them a bag of this yummy St. Paddy’s Day popcorn treat to enjoy! Sprinkles, Nonpareils, Holiday shaped candies for decoration (I finally found, after making this for several years, some adorable and allergy free St. Patrick’s Day candies! 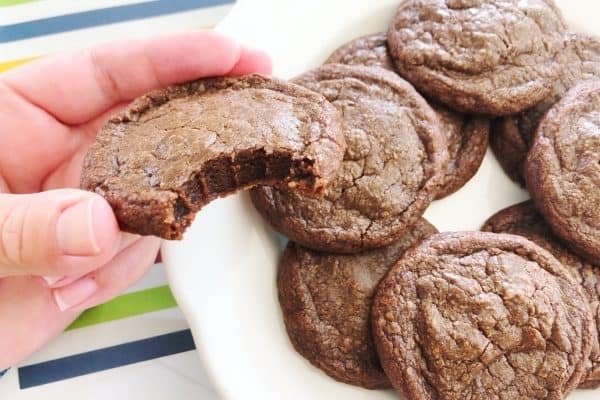 Obviously not in photos but these are so adorable and we will be trying them next time we make a batch. Pop popcorn, set aside. Be sure to pick any unpopped kernels out- they aren’t fun to bite into when you don’t expect them! After the chocolate dries/firms up again, break into bits and either store in an airtight container (for about a week) or package it up into treat bags to share with friends, classmates and neighbors! If you try to do it before the chocolate is ready, you’re going to have a big mess on your hands. Love the sweet and salty combo! What a cute idea and it looks so delicious. This looks like it will be a fun family project/snack! Thanks for sharing! I think this is just what I was looking for. The kids will love it. Yum! I bet the kids would really like this! Thank you for this recipe. I am going to make this with my daughter, I think she will enjoy making it and enjoy eating it even more. thanks for all the recipes. they all look amazing. Oh, I’ve got to try out this recipe. It sounds so good and I’m always looking for something sweet to munch on. Thanks. What a cool recipe! I’ve never seen this one before but I know my kids & their friends would go nuts for it! Thanks for sharing! 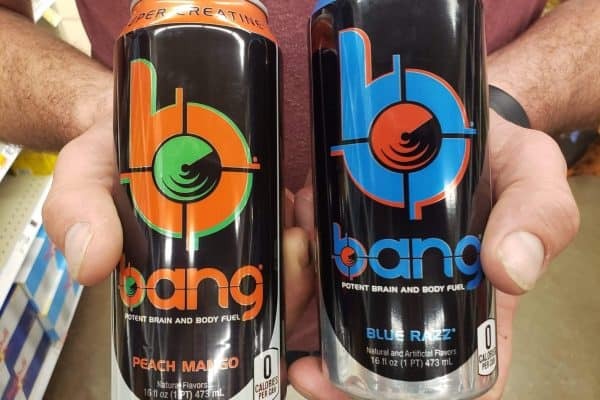 Sounds delicious, and I would probably eat way too much of this! This sounds like a yummy treat that I could have my 4 year old daughter help me make. Thanks for such a fun idea that we can do together! 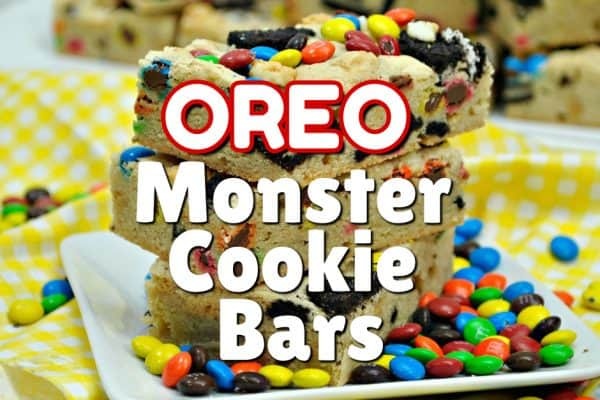 yummy–this looks good enough to eat right now -give me some…..
My kids would love this. Thanks for the recipe! 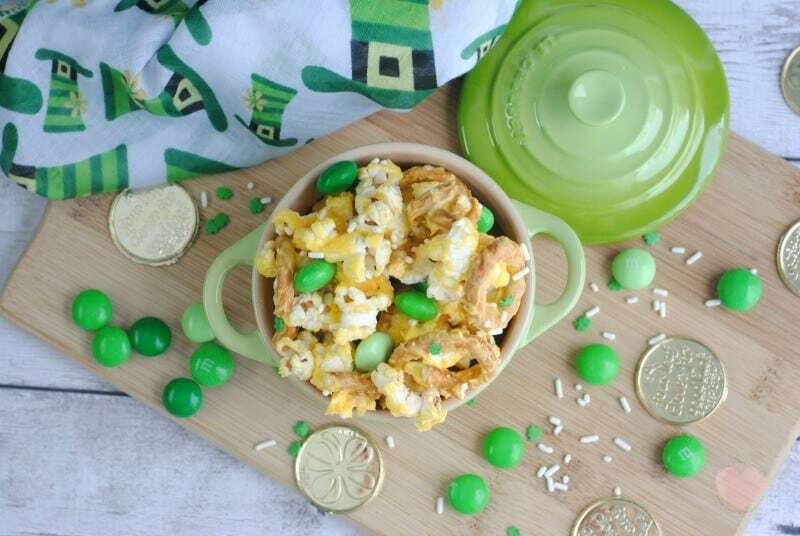 What a fun dish – it is time to start thinking about St. Patrick’s Day. Mmm, this sounds yummy! I love Kettle Corn too, it’s my fave. I’ve got to do this. I have an Irish son -in-law. He’ll appreciate it. It sounds yummy too! What a fun and festive recipe. I have a soft spot for St Pat’s Day, being Irish! Yay! I love this idea… especially because my creative green mashed potatoes were such a “hit” (NOT!) last year… I even had green filled twinkies for dessert…lol.. this would def. be more popular! Oh, fun idea! My littlest 2 won’t eat mashed potatoes. They gag. I’d totally do green ones though if they did! 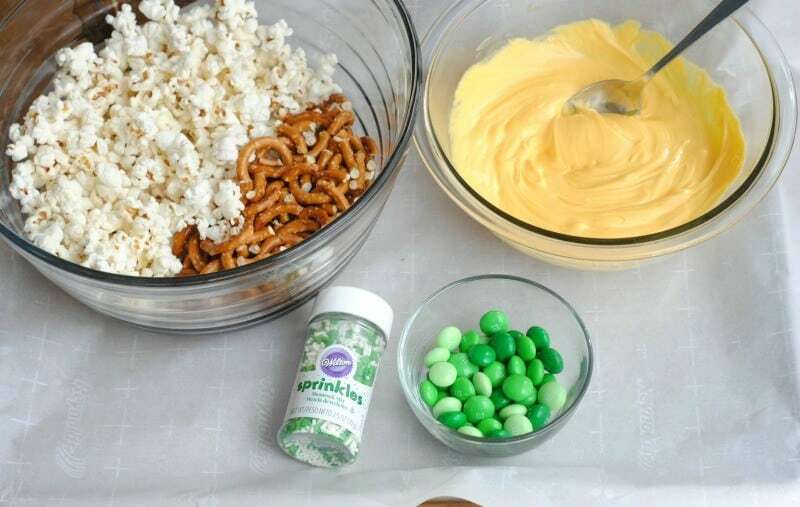 This looks really good, can’t wait to try it with my kids, a fun idea for St. Patrick’s Day treats! This treat looks so delicious and easy to make. I have never tasted or used Wilton candy melts so I am looking forward to trying them. I also love anything with m&ms so I will definitely be trying this recipe. Thank you for sharing this fun St. Patrick’s Day treat! Looks good & so simple to make. Thanks for sharing! This looks so yummy! Too bad I’m trying to stay away from sweets! YUM! Just the kind of thing I would LOVE. That looks very irresistible! I probably couldn’t stop at just one handful. And I love how Wilton candy melts come in so many different colors! Looks easy to make and I love that its Allergy free! That looks and sounds good.